The photo was made by Tom Bäcker, he called it "Metropolis adieu". Unfortunately he didn't tell us the name of the old Filmtheater. But this is no problem, because I know the building. 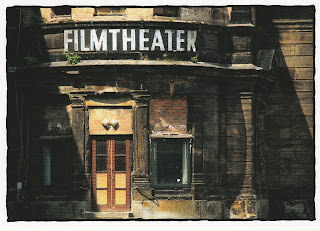 It was the little cinema next to the main station in Dresden. The building is a part of the main station and was originally the entrance for the Royal family to the station (so called Königspavillon). 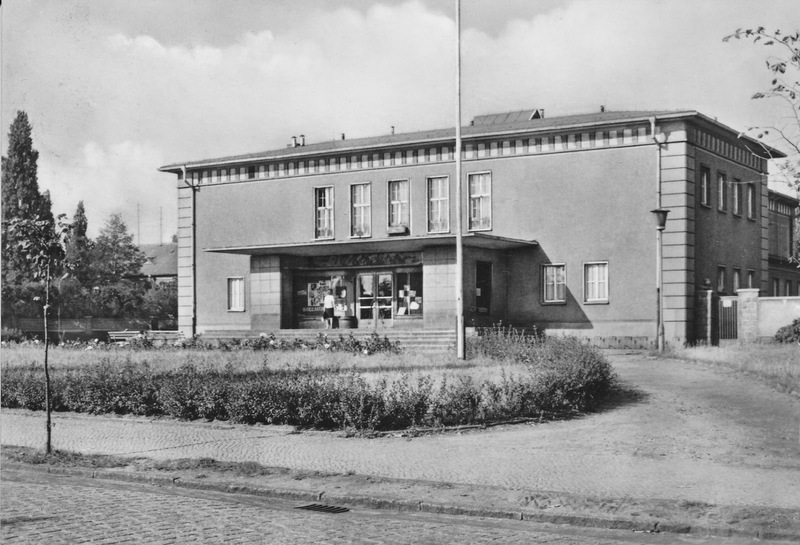 After 1918 it was a ticket office. 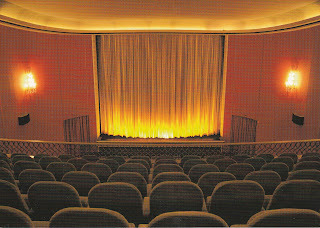 From 1950 to 2000 it has been used as a cinema. It is said it was a classical news theatre in its first years, where you could spend your waiting time watching the latest news. I remember it as a normal cinema. Its speciality was the unique GDR (East German) atmosphere until the end in 2000 - still 10 years after the end of the GDR. It was like a museum inside with 100 % GDR atmosphere. Just found an interesting postcard. 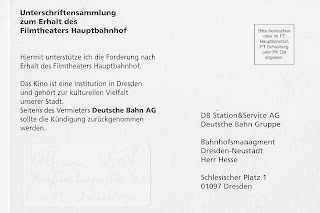 It is from the last days of this cinema in 2000, a protest postcard against closing addressed to the owner Deutsche Bahn / German Railways. "Von der Bahn überrollt! - Overrun by the railway!" 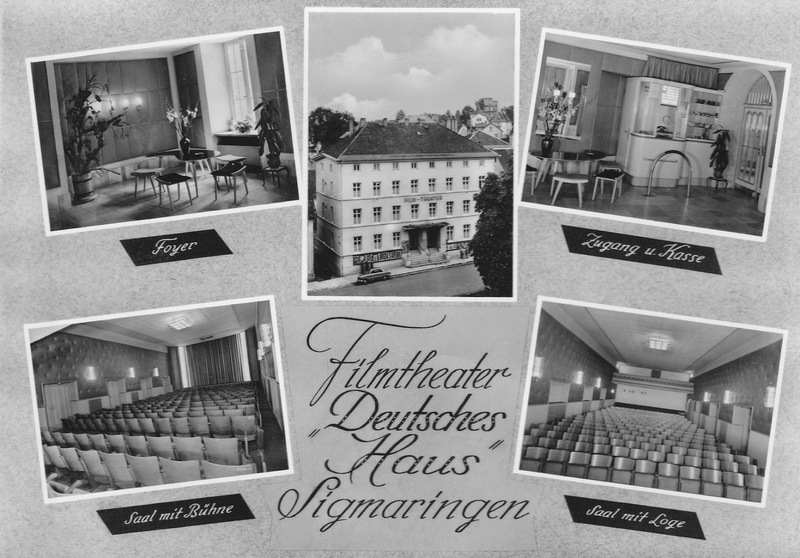 Three ad-cards show Delphi Filmpalast in Berlin-Charlottenburg. The house was built in 1927/28 and was used as a dance hall called Delphi Palace. 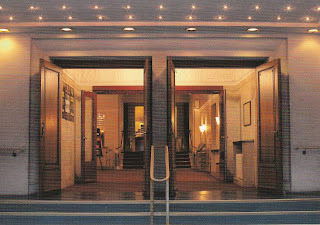 In 1949 the house was reopened as a cinema, with now 784 seats in one hall. The movie title over the entrance is a litte riddle because of the hidden letters - the title is Vergebung (in English: The Girl Who Kicked the Hornets' Nest, Swedish: Luftslottet som sprängdes, Sweden 2009). 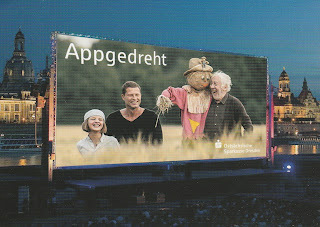 This movie run in summer 2010 in the German movie theatres. I love the fan-shaped Delphi-emblem over the door, unfortunately not very well photographed at the postcard. It looks like a part of an arrow to the entrance. It is also used by the Delphi film distribution. This distribution started in 1985 with the rerelease of Billy Wilder's One, Two, Three (1961). Later this cinematic masterpiece has shown for one year at Delphi Filmpalast. Danke, Ina, für die Karten! 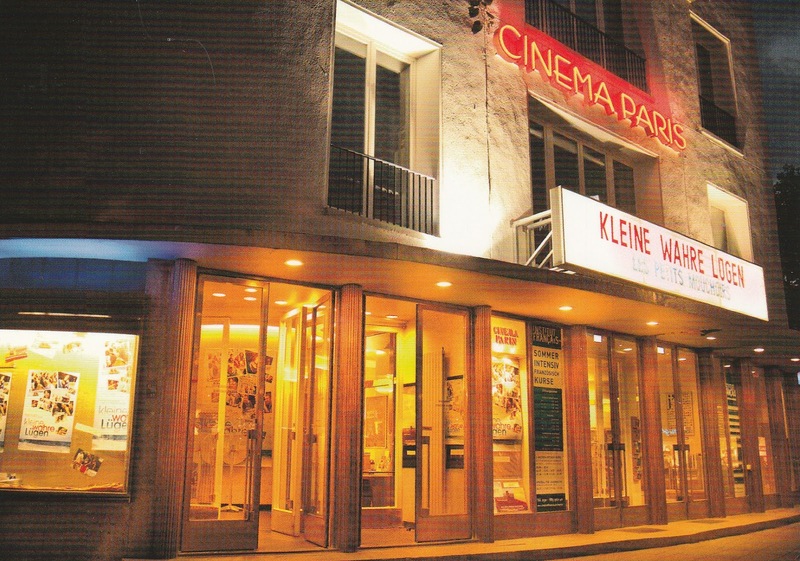 Three ad-cards showing Cinema Paris - situated at Kurfürstendamm 211 in Berlin. The house was built in 1897, after World War II it has been used as the French Culture Centre Maison de France. 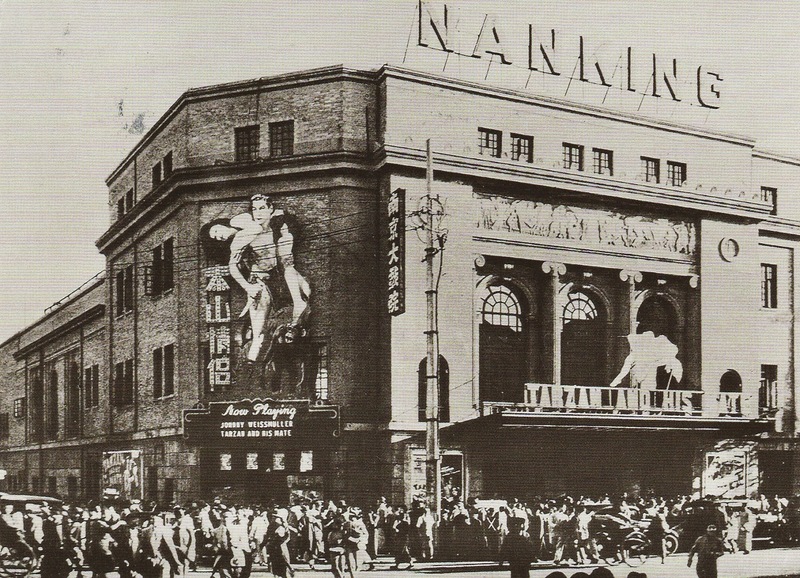 The cinema opened in 1950. 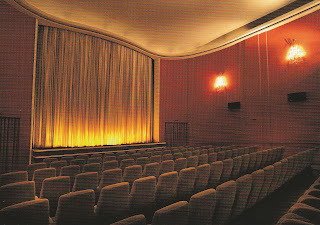 It is still an one-hall-cinema with 325 seats. The name is the game: there are shown above all French movies in German and in French. The cinema advertises the movie Kleine wahre Lügen (Les Petits Mouchoirs, France 2010), the movie came in July 2011 to the German screens. 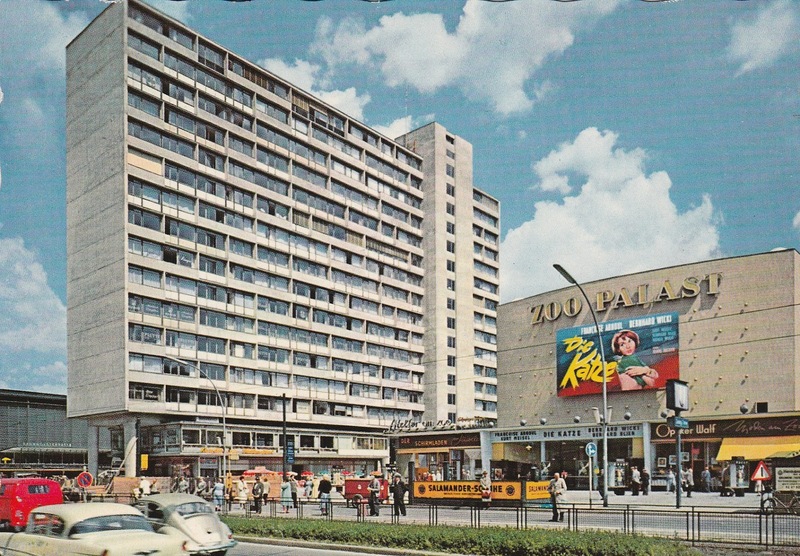 Zoo Palast in Berlin was built in 1956/57 by Paul Schwebes, Hans Schoszberger und Gerhard Fritsche. At first there were two halls, with 1070 and 550 seats. 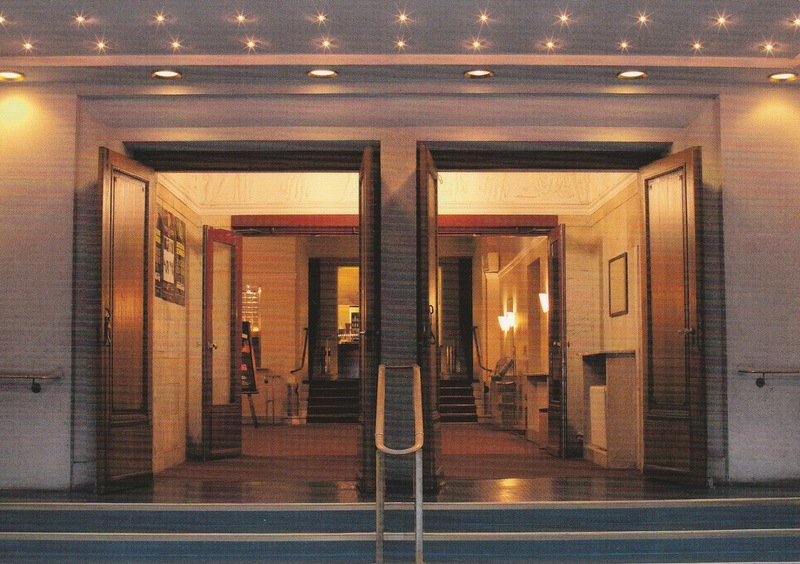 Later there were some rebuildings - the cinema had 9 halls with 2758 seats in 1999. 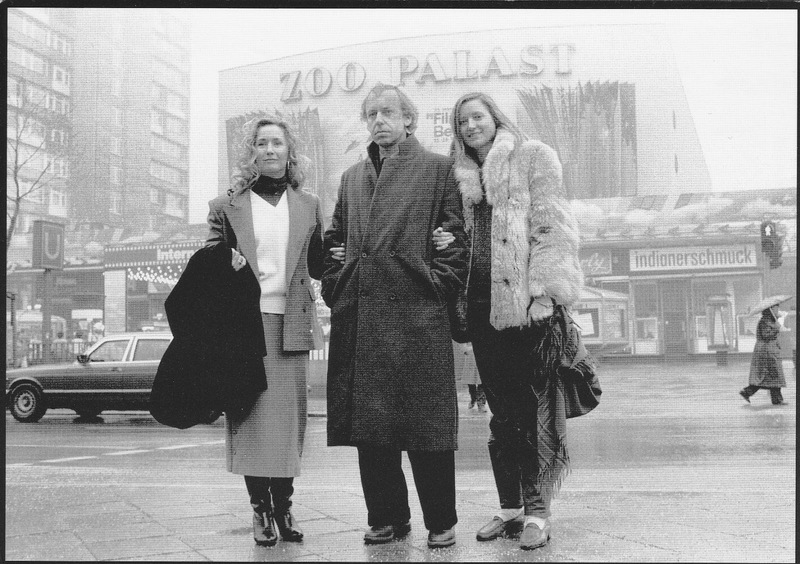 In 2013 the Zoo Palast was opened nearly new, with 7 halls and 1700 seats. Look here to see more pictures: kinokompendium.de. 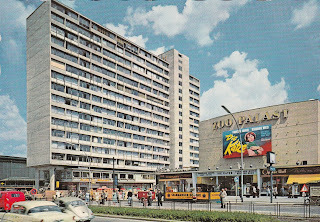 The postcard was made in 1958. The cinema advertised the movie "Die Katze / La chatte / The cat" (Henri Decoin, Italy 1958). Zoo Palast has been the main cinema for the Berlin International Film Festival from 1957 till 1999. The postcard shows the French actress Brigitte Fossey, the German actor Rüdiger Vogler and the German film director Helma Sanders-Brahms during the Film Festival in Berlin in 1985. 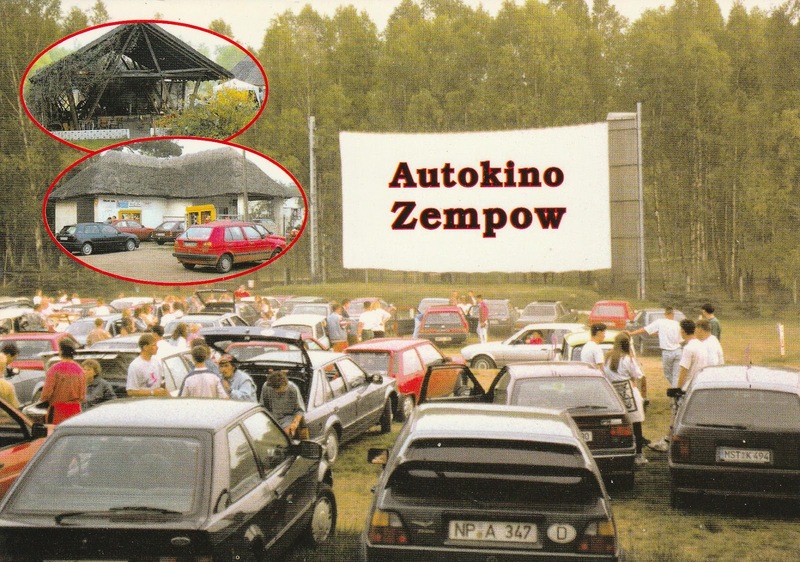 I love this postcard, got it via Postcrossing. 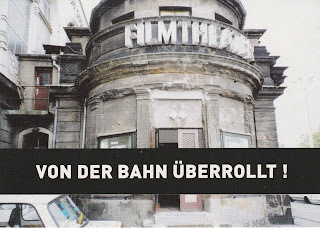 It reminds me when I visited the Berlin International Film Festival in 1992 with Unifilm Saarbrücken. An unique and crazy excess of films. 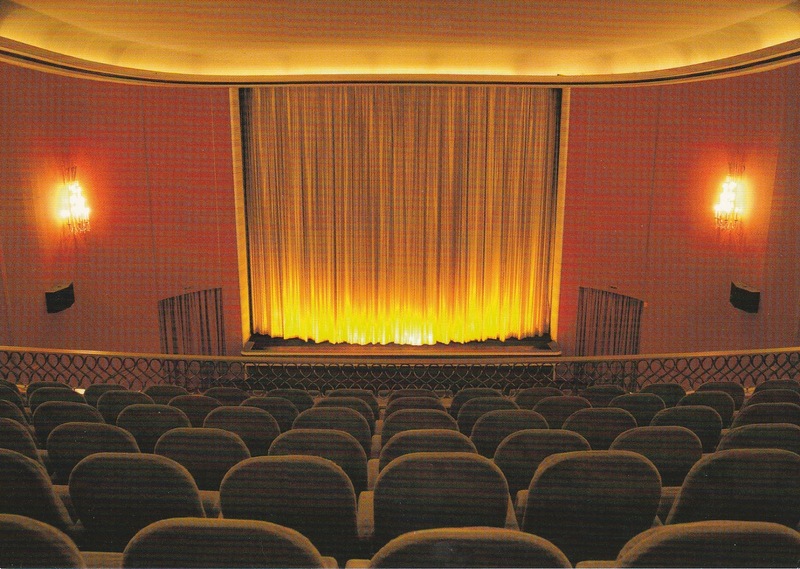 We used to have front-row seats, also in the big hall of the Zoo Palast - a very interesting vista. 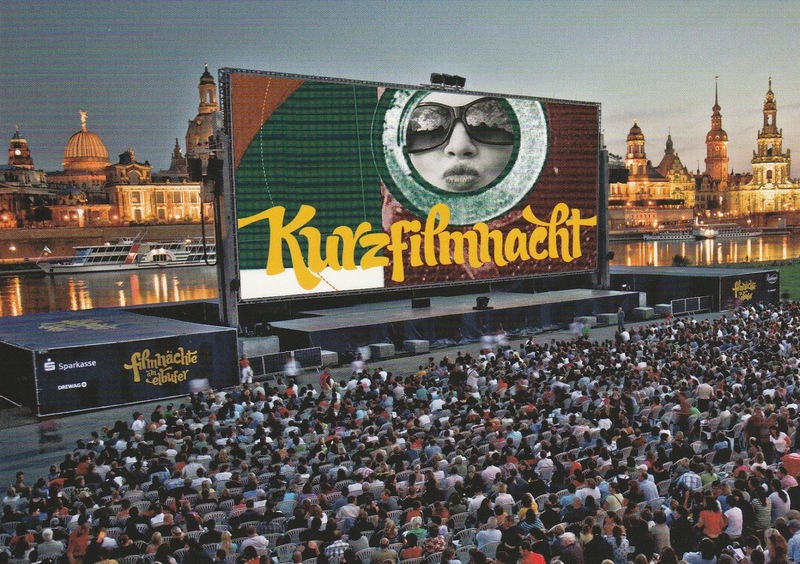 Filmnächte am Elbufer - Filmnights on the banks of the Elbe is Germany's largest open-air cinema (about 3.300 seats) in front of the historical buildings of Dresden. 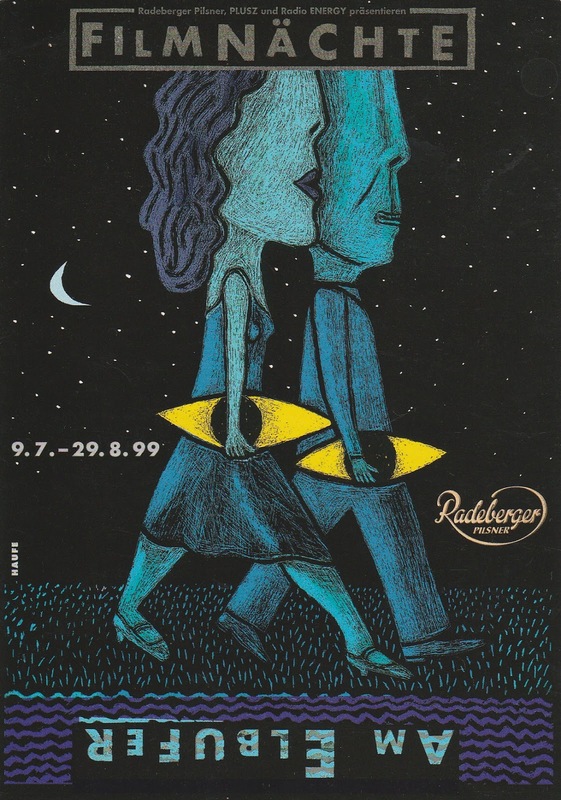 There are shown movies in June-July-August and many concerts take place. At all - a summer festival for everybody. The screen is one of the largest mobile screen with 448 m² (32 metres by 14 metres) in the world. It is a combined screen-stage-system. I saw there "Once Upon a Time in the West" years ago. 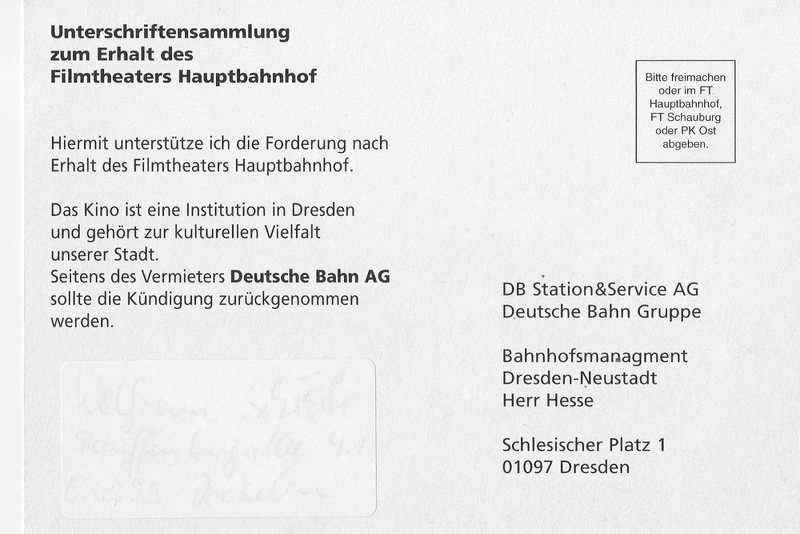 The postcard is an ad-card from the sponsor/premium partner Ostsächsische Sparkasse Dresden. They advertise the movie Honig im Kopf (Til Schweiger, Germany, 2014). Just found an older ad-card from 1999 for the same event. Interesting design, I like it. An ad-card from 2016, advertises the Short film night on July 15th, 2016. A joined venture of Filmnächte am Elbufer and Filmfest Dresden - the International short film festival. I got this interesting postcard via Postcrossing from Danielle from Tacoma. The picture is painted by Marshall L. Johnson. It shows the historic Theater District of downtown Tacoma circa 1930. 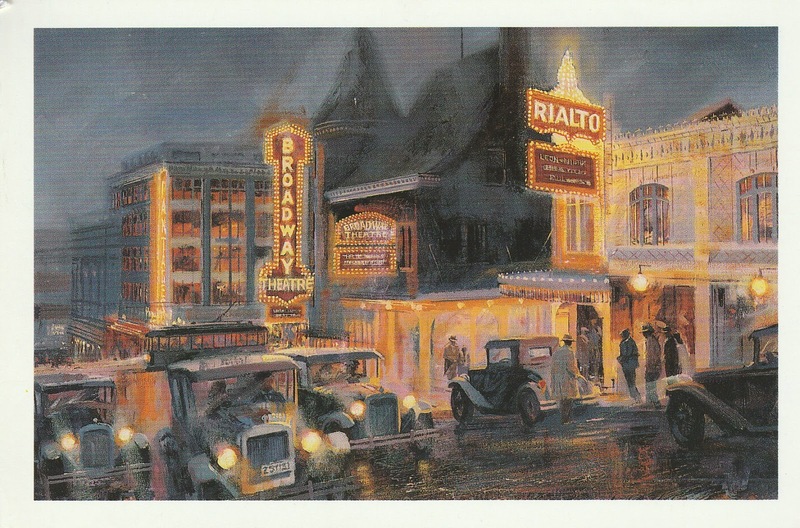 Encompassing the Pantages, Rialto, and Theatre on the Square, the Broadway Center manages the largest complex of theaters between Seattle, Washington and Portland, Oregon. Additionally, The Broadway Center Conservatory and Education Department provide one of the largest performing arts education programs in Washington State. 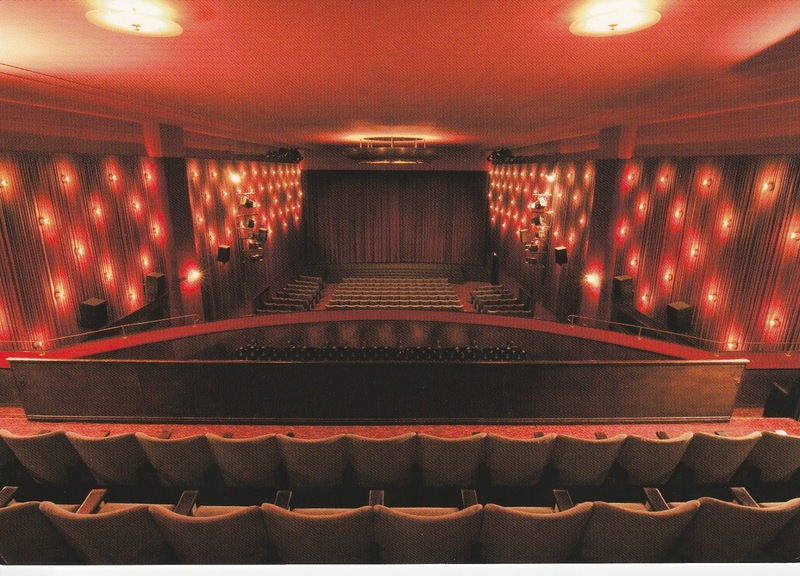 The Tally Ho Theatre opened in 1931 as a motion picture and performing arts venue with about 700 seats, later split in two halls. 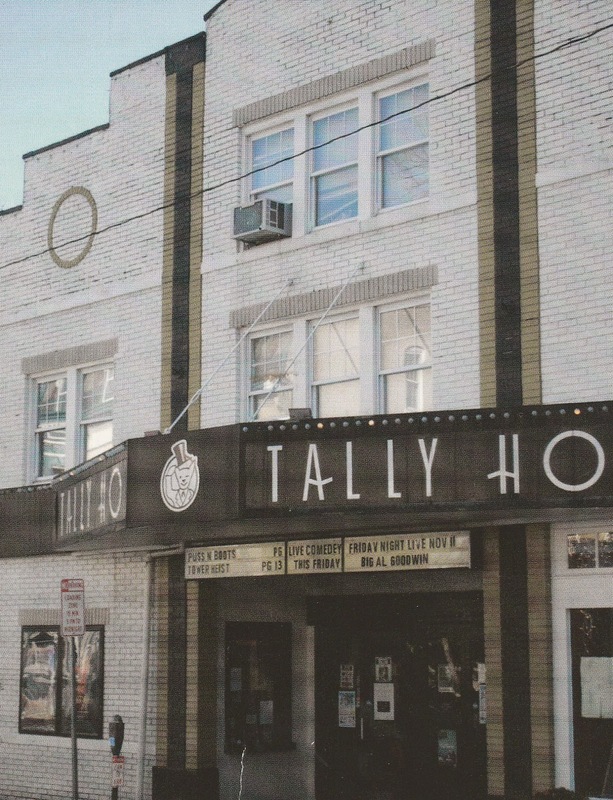 Now the Tally Ho has recently been renovated and opened to host live music, theater, and other events. Leesburg is a town in the hunt country Virginia and the cinema is named after the cry of the foxhunter upon the sighting of his quarry. 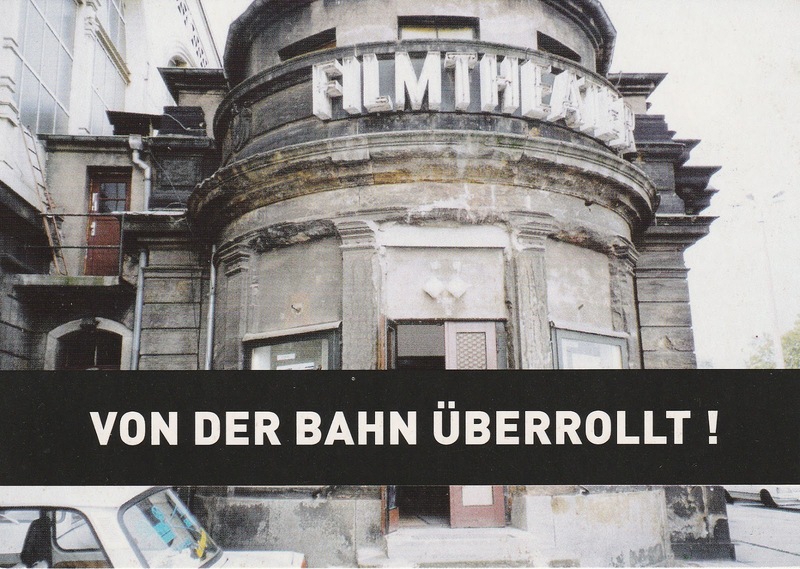 Jean Christopher Burger produced in 2006 a documentary about this cinema "Vor Einbruch der Dunkelheit". 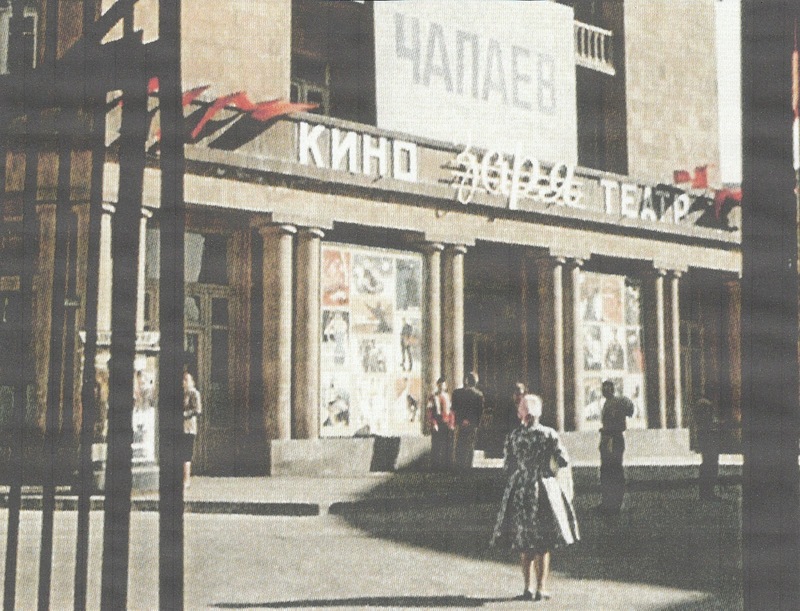 Unfortunately I couldn't find anything about this cinema in Kaniv in Central Ukraina and about cinemas at all in Kaniv. 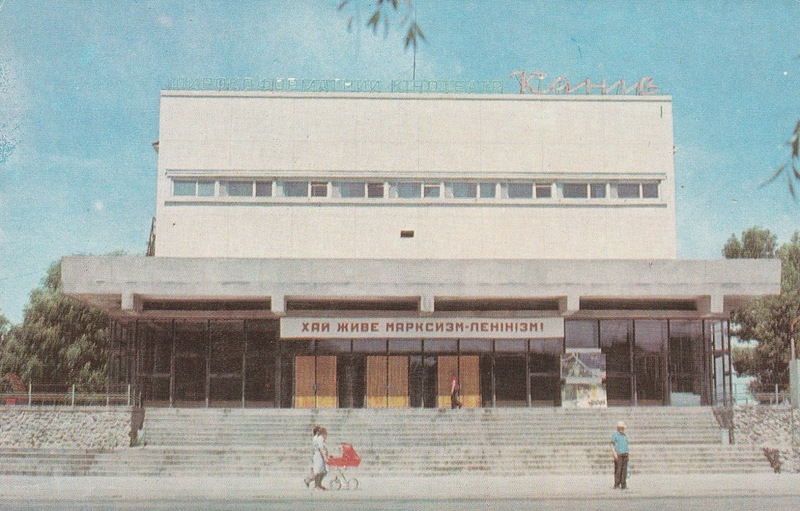 There is written "Wide screen movie theatre Kaniv" on top of the building, over the doors "Long live Marxism-Leninism!" The film Иваново детство (Ivan's childhood) (Andrei Tarkovsky, USSR, 1962) was shot for the most part near Kaniv at the Dnieper River. By the way, a cinema is shown in Andrei Tarkovsky's diploma film Каток и скрипка (The Steamroller and the Violin) (1961). The cinema is named Заря (Sarya, in engl. Red sky at morning). The film Чапаев (Chapaev) (USSR, 1934) is advertising. I couldn't find anything about this cinema and the place, where the movie was made. Maybe somebody can help me to identify it. Please leave a comment. 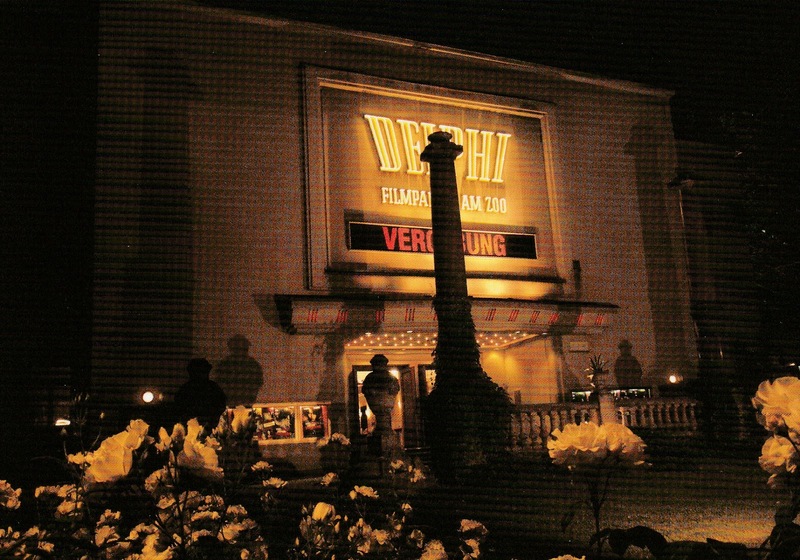 This cinema is located in a village with about 3000 inhabitants, 15 kilometres away from Dresden. It was planned by Willy Grafe with 340 seats and opened in 1955 - and is still working. Today it has 237 seats in one hall, digital projectors and most of the original interiror.